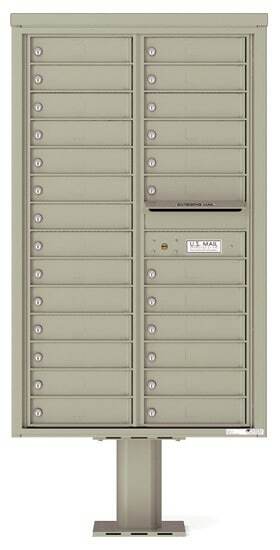 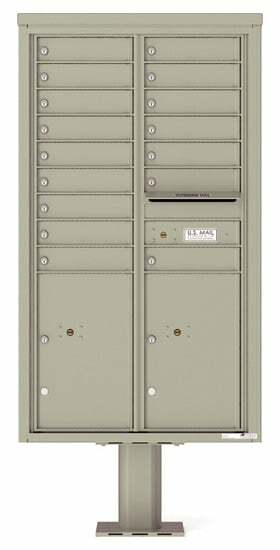 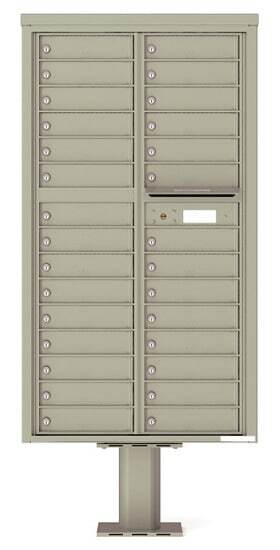 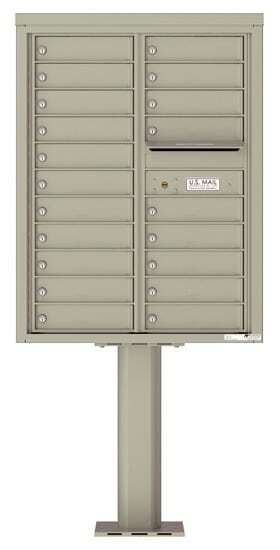 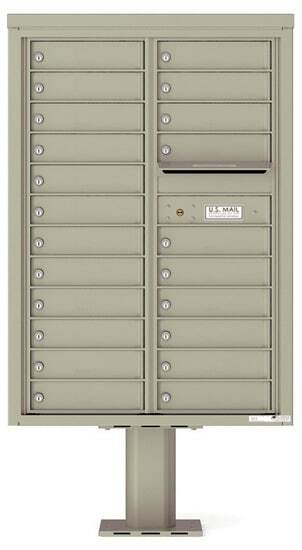 Order these 4C Pedestal Mailboxes online at MailboxWorks as a 16 to 29 door pedestal mailbox unit. 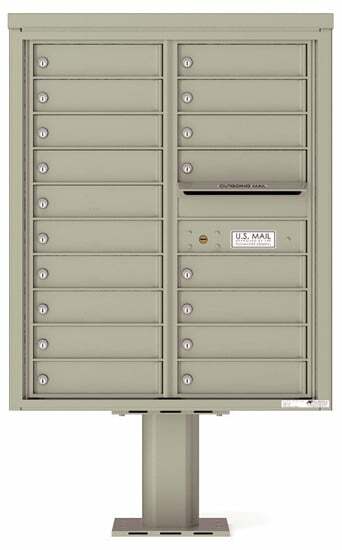 These 4C pedestal mounted commercial mailboxes have all the same features of the standard Florence 4C front loading mailboxes. 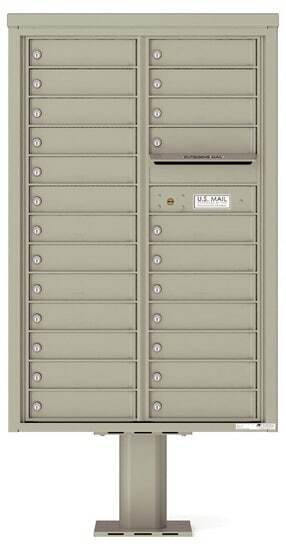 They are also USPS approved for use on college and university campuses as well as at business and apartment complexes. 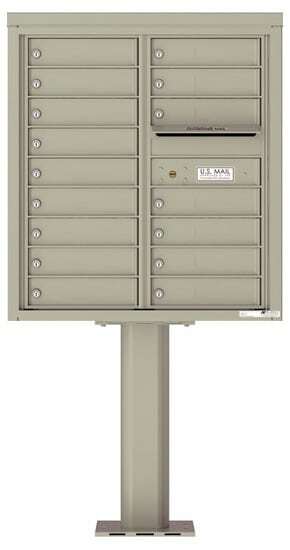 However, be sure to check with your local postmaster as approval for mounting on a pedestal may be required.